Team members Chris Franco, Lauren Konchan and Ed Seim prepare to present their project. When Chris Franco, a computer science senior at Loyola Marymount University, heard about a local nonprofit’s data collection system, he saw a chance to make a difference and embark on a capstone project that would benefit homeless youth. The organization serves about 60 youths each day – 1,000 distinct individuals a year – who are homeless or at risk of becoming homeless. There, youth find help getting food, clothing, showers, an education, counseling and health care. Providing those services creates a mountain of data, which the nonprofit stored on two dozen spreadsheets, tabulated by hand and analyzed manually. Staff at Safe Place for Youth have long wanted to automate their records. Bari Goldojarb, director of programs, knew automating their records would make it easier to ensure they’re serving the needs of area youth in the most-efficient manner, evaluate the program and communicate outcomes. “It’s hard to raise funds to build a database,” said Goldojarb. So, she approached Franco about developing an automated, cloud-based data management system. 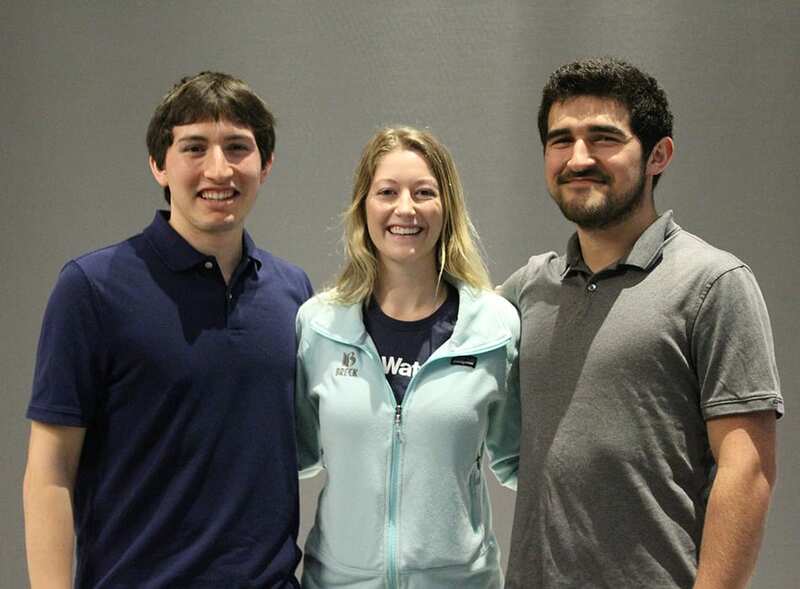 Franco agreed and when he pitched it to his senior computer science class, eight classmates joined his team: Nicole Anguiano, Chris Dellomes, Eko Khizanishvili, Lauren Konchan, Josh Kuroda, Mary Kate Reid, Ed Seim and Mondo Yamaguchi. “It just made sense to use what we’ve learned, make a difference and give back to the community by helping out the homeless youth,” said Dellomes. A team of computer science majors is helping a local nonprofit develop an automated, cloud-based data management system. “We are providing a database-driven web application to automate the entire process, get everything onto the cloud, and make all data collection and report-generation electronic,” Franco said. The team portioned out the project into smaller sections. One section focused on developing an easy-to-use front end; another section focused on the back-end, cloud hosted server; while still another section focused on database construction. Team members rotated through these sections. They applied their cumulative skills gained at LMU, and learned from the technical and the human challenges presented by the project. One technical challenge arose from the need to protect health information in the system as required by The Health Insurance Portability and Accountability Act of 1996, or HIPAA. Just working together on their own large team presented organizational and communication challenges in making sure everyone collaborated on the same set of code. Currently, the system is in beta testing and the team continues to build out components. Franco has brought on underclassmen to make sure the app is ready in time for Safe Place for Youth’s end-of-year reporting in June.